The brief was the renovation of a basement flat in Nottinghill, west London. 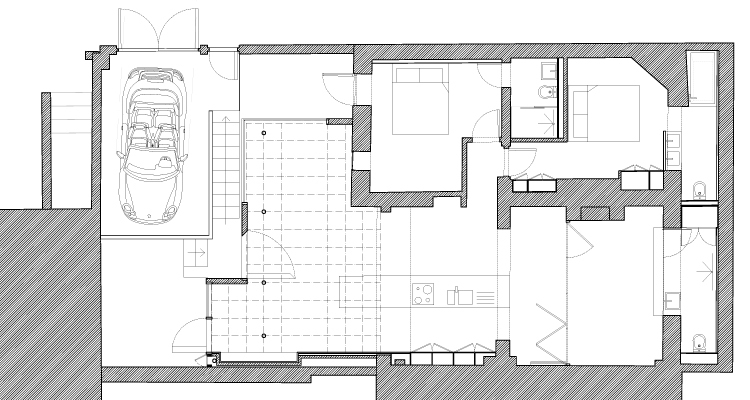 We were asked by our client to provide a high-end two-bedroom apartment consolidating the particular characteristics of the existing interiors yet providing new connections between rooms, to provide for en-suite bathrooms for example and a new and clear connection to the outdoor space. 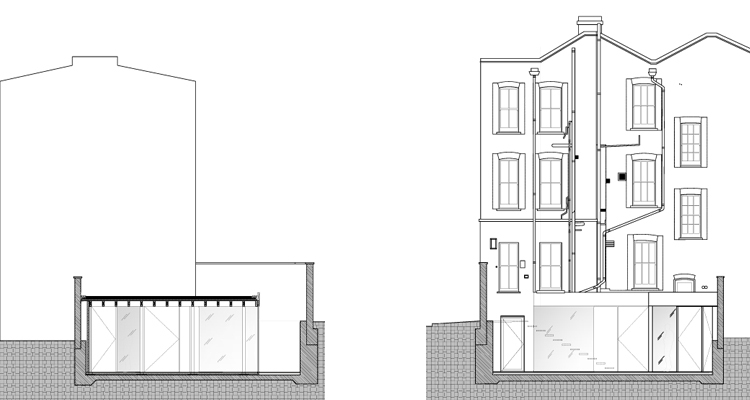 Our design proposal consisted of a timber extension of the basement floor into the garden area. As a consequence, we could excavate a large portion of the garden to allow for the timber structure to sit within. The new garden is designed as a composition off walled spaces, reminding us of ancient bastion walls creating protected yet open interiors.